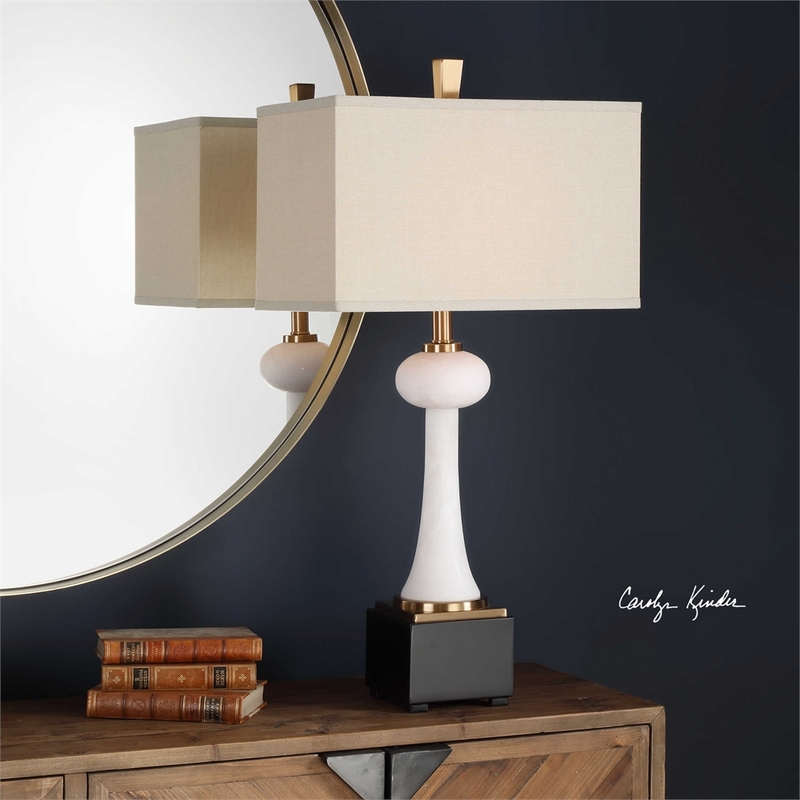 Designed by Carolyn Kinder International, the creative design of the Carron Lamp features polished ivory alabaster with subtle veining, accented with plated brushed brass details and a matte black iron foot. The rectangle hardback shade is a beige linen fabric. This beautiful collection also features the Carron Candle Holder and Carron Floor Lamp. Part of the distinctive Uttermost Revelation line, the Carron Floor Lamp is only available to trade professionals at Uttermost.com.